Hello everyone, and welcome to a new series I'd like to start including on my blog - Beauty! In the past few months I've started investing more into my makeup products and have started actively experimenting with scary and intriguing terms such as "contouring" and "matte lipstick." I don't even know how it happened! It was as if one day I woke up, looked over at my makeup table, and they were all clumped together! Anyway, I've broken them down into what will be a three part post. 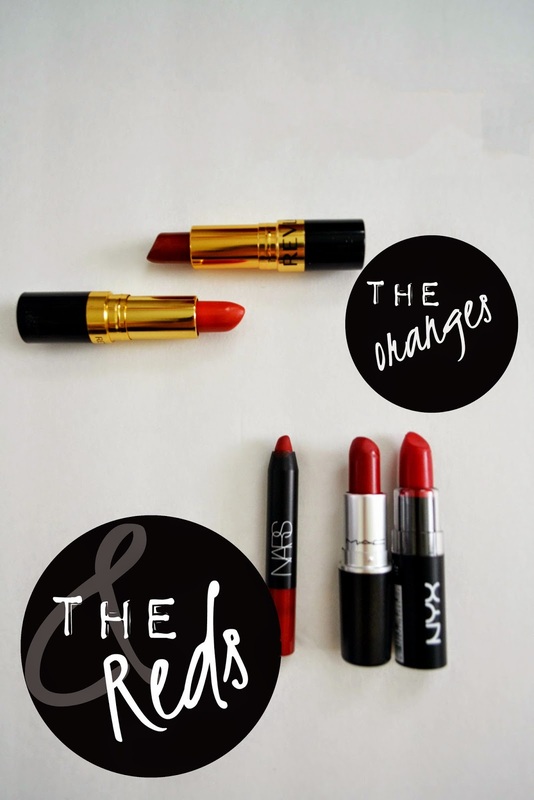 Today, I'm reviewing the red and orange shades I own. Without further ado, let's get into it! First up, the classic red shades. I know I've mentioned this lipstick before, as it was my first high end purchase I'd ever made concerning makeup. It's a real treat, and with a matte finish, it lasts for quite some time. I love how pigmented it is and definitely has a decidedly deep, red finish. I heard about this lipstick thanks to one of my favorite bloggers, Lauren, who is an absolute beauty maven when it comes to rocking lipstick colors of all kinds! 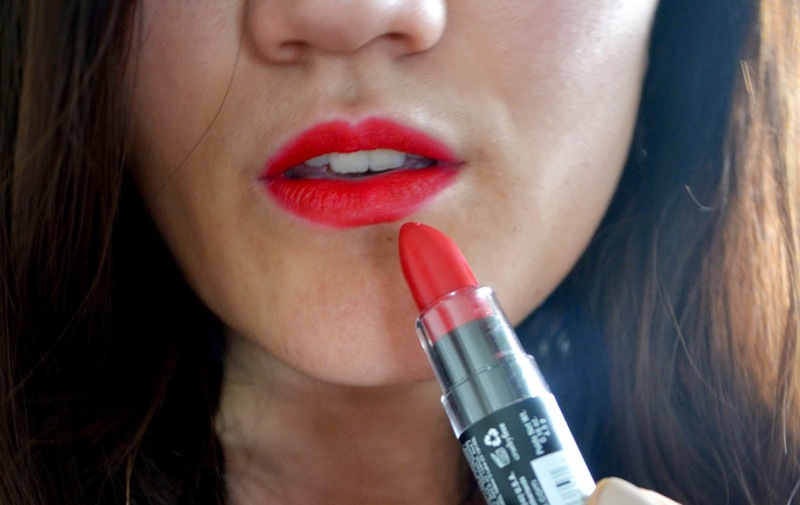 "Eden" is an affordable red lipstick from NYX that is a more pink toned red than "Russian Red." I'd recommend this color if you're curious about trying a red lipstick but don't want to splurge the $16 that a MAC lipstick costs. These matte lipsticks from NYX last fairly well throughout the day, and even after sipping down a cup of coffee, it didn't budge! Not bad for an $6 lipstick. This is the holy grail red lip product. The NARS velvet matte lip pencils are a glorious creation that combine the exactness of a pencil with the application of a lipstick. Also, did you catch that? Velvet matte lip pencil. That's right, it has a matte, creamy finish that I have yet to find in any other product (in my limited makeup experience at least, so don't get too excited). PROS: It's a richly pigmented dark red hue, lasts a long time, and is super convenient to toss in your bag and go. CONS: I can't find any besides the price tag ($26), and it's worth every penny! Also, did I mention that it's Sephora's birthday gift this year? That's how I got this sample sized pencil in the first place. If you haven't signed up for that club, go do it now! This is an old color that I remember picking up on clearance from Target last year. It's a fairly sheer lipstick, and after wearing such heavily pigmented red colors, this was a bit frustrating trying to build up. However, it is a pretty, coppery orange shade that's good for days when you want a touch of color. Plus, you can definitely layer it on to increase the impact of it! After realizing how many dark hued lipsticks I owned, I decided I had best find some lighter shades for spring. While I'd originally intended to find a pretty pink color, I ended up choosing this coral shade, and man, am I glad I did! 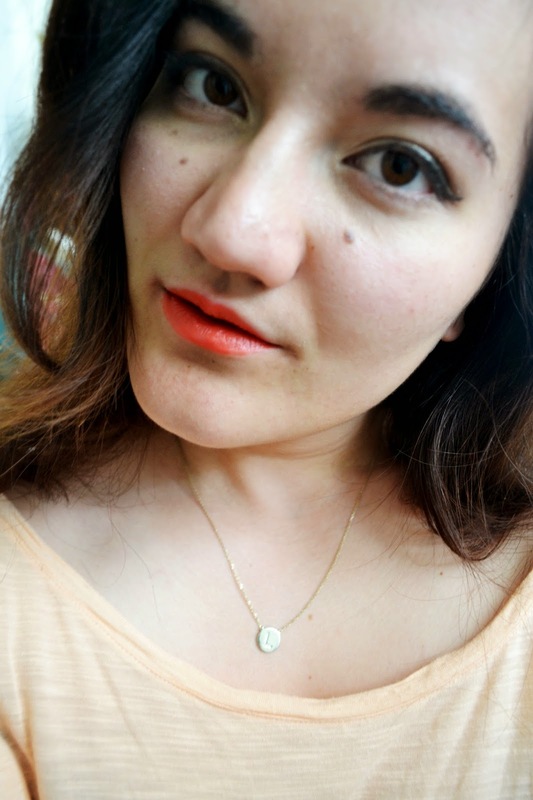 Revlon's Kiss Me Coral is a gorgeous lipstick that is creamy and perfectly pigmented. It goes on like a lip balm in all reality! I prefer this type of finish over the sheer application of Abstract Orange too. What can I say? My clothes can be black and white, but this girl prefers her lipsticks rich and colorful. I think it's a good balance. CONS: Besides needing touch ups throughout the day (and what lipstick doesn't require that? ), I'd say this one is another winner! So this concludes Part 1 of my Lipstick Collection & Review series! What did you think? Would you be interested to see a part 2 and 3? Let me know so I can decide whether or not to put forth the effort to even make those posts. 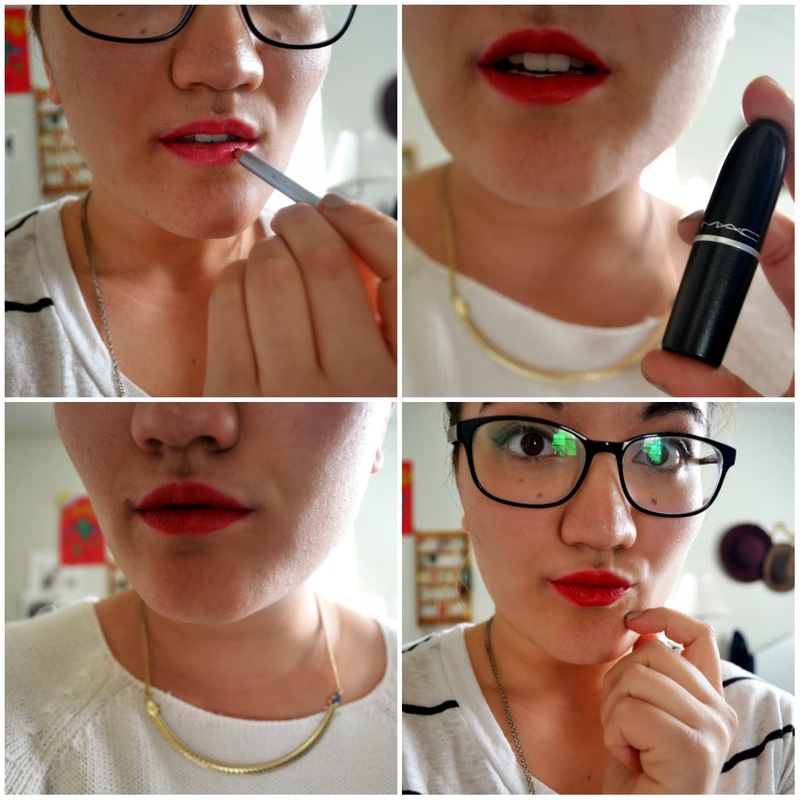 I enjoyed putting this together as it made me sit down and really evaluate my lipsticks. What I've learned is that Abstract Orange can leave my collection, but I'll definitely be holding tightly onto Cruella and Kiss Me Coral! Did this help you at all? Are you addicted to lipsticks? What color would you try? they all look superb, but I really liked to see you with the orange ones! 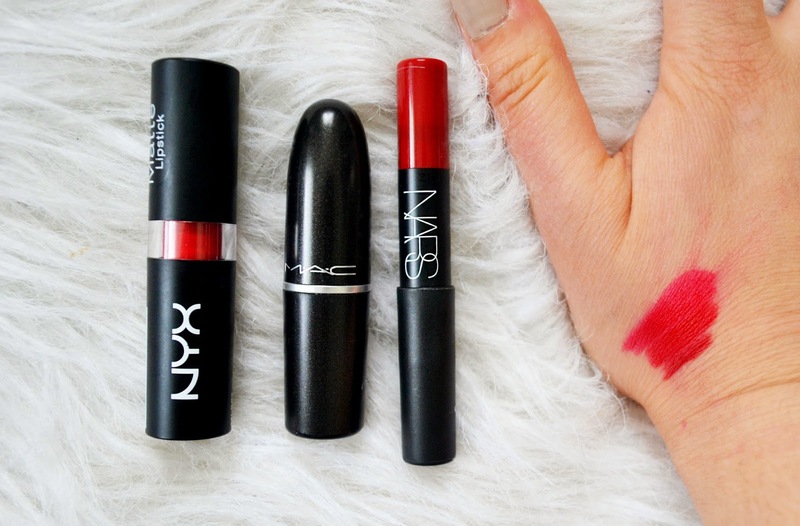 I love that NARS red one on you, but that coral one at the end is my favourite, very pretty! :) I'm not really a makeup person so I don't own more than one lipstick, haha! But I have been thinking about branching out and trying some new products. There's a store here where you can book in for a consultation/makeover and learn about all the different products, and you get a voucher to buy things that day. I might do that! I love this color of Nars ! Love all these shades, especially the red with the cream top. Really makes your lips pop! Pretty! Love the orangey hue... it is so different and perfect for spring! Great post. I have cruella and I absolutely love it but it is pretty pricey. I really like the look of MAC's Russian Red but I'm a bit deterred by the fact that it wears unevenly. I love all these shades on you :) especially the Revlon Kiss Me Coral! Ugh whyyy must the NARS one be so expensive?! it sounds like a dream, and I love the cheery color. Also, if you opened my makeup drawer you'd literally only see reds, berries, and purples. It's like I keep buying the same shade over and over and can't stop haha. Can't go wrong with a bold lip! I"m loving the rouge on you... although the fact that it gets splotchy after a few hours does get annoying. But I have yet to find the perfect long lasting lipstick! 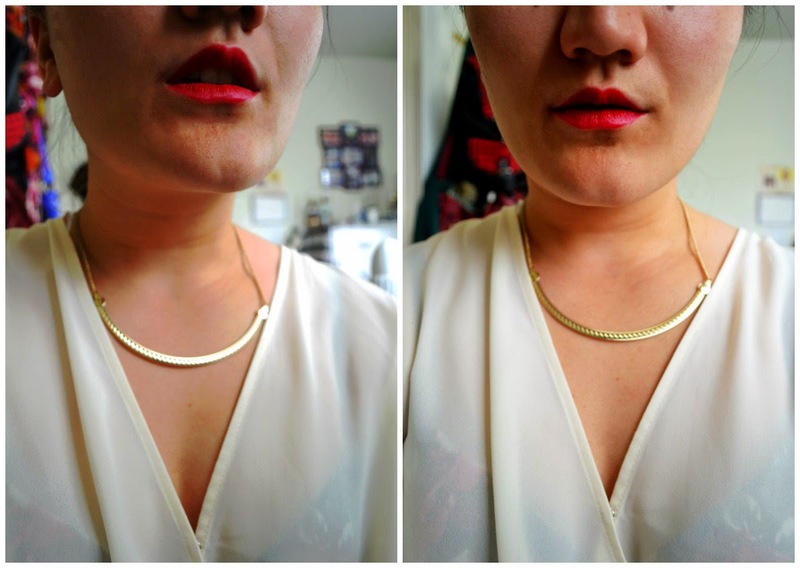 It's embarrassing how i used to resist wearing lipstick and now i'm curating a collection. haha. love all the shades on you, Linda. And if you agree, we kind of have the same taste in lipstick. i usually go for orange-based or red-based shades since they suit my skin tone better than pinks. but lately im into darker ones too. tried brown? I bet it would look on you too! you look great in red and orange Linda! all of these shades suit you. Oh man, your makeup post is way better! 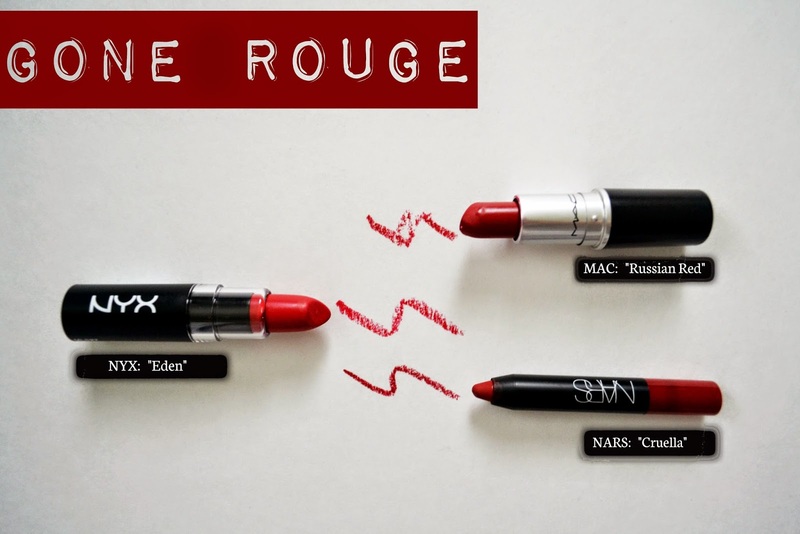 I love how that Nars lipstick/pencil looks and when you said it has a creamy texture, that sealed it - I think I'll end up buying this rather than the mac russian red. (although that is the *perfect* red shade!). 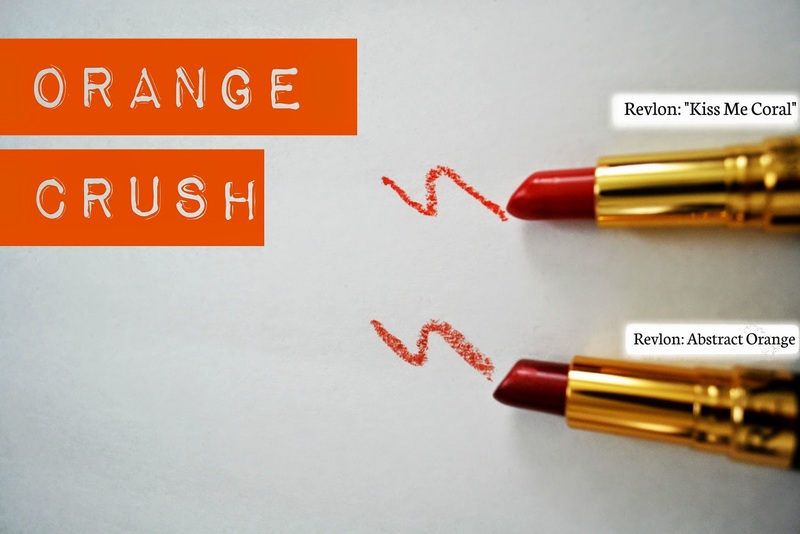 Oranges are always really hard for me to wear, so far the only one I've liked on me was the l'oreal paris colour rich balm in coral, it's such a perfect summer shade! (i love the colour balms, they are so pretty and way better than the other lip balms, so weird taste or smell.). I know I should wait for your next makeup post but what liner do you use for your cateyes? They always look so perfect! they are all so lovely !! !